A masquerade ball! That sounds like the perfect solution for the summer blahs at St. Rita's parish, where the sidewalks are sizzling and the money coffers are dwindling. Who could have predicted that utter chaos would be unleashed? At the event, a handsome seminarian attracts the eye of a voluptuous woman disguised as the angel of death, the unstoppable Francesca Bibbo meets a mysterious wizard - and someone pilfers the cash box. When a body is later discovered in the rectory, Francesca dons a new disguise - detective - and meanders into mayhem and madness as she tries to solve the crime. For more information on this book, or to order, click here. St. Rita's was a vibrant suburban church whose parishioners liked things on the traditional side: old-fashioned hymns from the choir and no-nonsense preaching from the priests, pious devotions in the chapel and warm pastries in the rectory kitchen. All that ended the day the liturgist arrived. He promised to bring the parish up to date, to get more people to participate, to make the Mass more appealing to the tastes of modern Catholics. But all he did was make enemies; it seems St. Rita's wasn't ready to sing a new church into being quite yet. 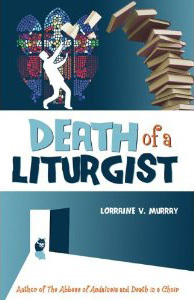 So when the liturgist turned up dead, under violent and mysterious circumstances, everyone was a suspect. 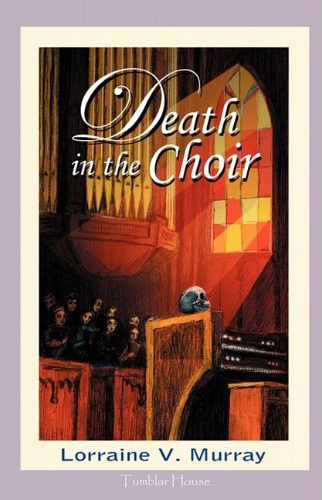 Death of a Liturgist features the return of Francesca Bibbo, the irrepressible heroine of Death in the Choir. Join her and the rest of St. Rita's eccentric crew, including Sister Therese, Detective Tony Viscardi, and Ignatius the Hamster (with a little help from the archbishop, too), as they try to solve the mystery and make St. Rita's safe for tradition again. Flannery O'Connor has been studied and lauded under many labels: the Southern author whose pen captured the soul of a proud region struggling to emerge out of racism and poverty, the female writer whose independent spirit and tragically short life inspired a generation of women, the Catholic artist whose fiction evokes themes of sin and damnation, mercy and redemption. 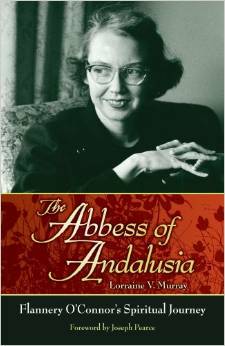 Now, and for the first time, The Abbess of Andalusia affords us an in-depth look at Flannery O'Connor the believer. In these pages you will come to know Flannery O'Connor not only as a writer and an icon, but as a theologian and apologist; as a spiritual director and a student of prayer; as a suffering soul who learned obedience and merited grace through infirmity; and truly, as the Abbess of her own small, but significant, spiritual house. For decades Flannery O'Connor the author has touched her readers with the brilliance of her books. Now be edified and inspired by the example of her life. Francesca Bibbo is eager to jumpstart her social life, so she joins the choir at St. Rita's. There, she discovers that the director and the pastor are locking horns over a decrepit organ, while the sopranos are vying for solos. After a rehearsal party, things go very wrong, and when someone shows up dead, the police rule the death a suicide. 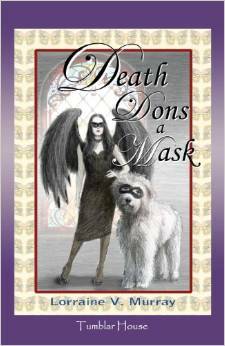 But Francesca suspects foul play, so she begins prying into the dead man's past. Before long, she uncovers shocking and sinister facts about the choir members. Confessions is the honest and heart-rending account of a woman who was born into a Catholic family, but ran into major roadblocks in college. Amidst the radical feminist college environment of the 1960's, she lost her faith, and her morality. 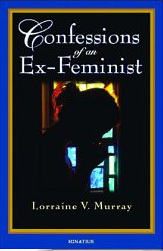 When she discovered she was pregnant, Murray followed the route that feminists offer as a solution for unmarried women. Much to her surprise, her abortion was a shattering emotional experience, which she grieved over for years. It was the first tragic chink in her feminist armor, and her first realization that God was calling her back home. Lorraine Murray's Confessions are a revelation. They reveal the nasty truth behind women's "liberation". Her experiences, and the lessons she learns from them, serve as a timely warning of the folly of feminism and the destructive impact that feminism has on those who fall under its malignant spell. 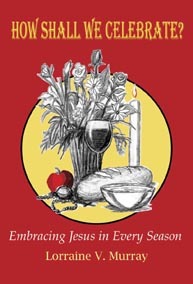 Celebrates 30 liturgical and secular days to remind us that Jesus breathes in the heart of every event—from the promise of Advent, the sparseness of Lent, the exuberance of Easter, to the fullness of Thanksgiving. Illustrated throughout by Jef Murray. For more information on this book, or to order, click here . Cancer survivor Lorraine Murray offers caring spiritual help to women who have been diagnosed with breast cancer. Grounded in faith, this honest, empathetic, and compassionate guide offers more than psychological advice. It offers help to heal the suffering heart. Murray explores the real issues and candidly shares her own battle with cancer, offering positive suggestions for dealing with fear, confusion, anxiety, and suffering. 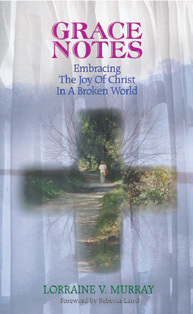 The text is rich with the words of Jesus, examples drawn from his life, scriptural reflections, discussion questions, and exercises that can be used in daily life. Perfect for both personal reading and group settings, Why Me? Why Now? is also a valuable resource for caregivers, friends, and families of women with cancer. It offers compassionate advice sprinkled with bittersweet humor to help women through the terrors and uncertainties of treatment and recovery. These short, gentle, often playful, always hopeful essays and discussion questions invite readers to be attentive and receptive to interventions of the divine in their own lives. A Spiritual Book Associates Feature Selection.